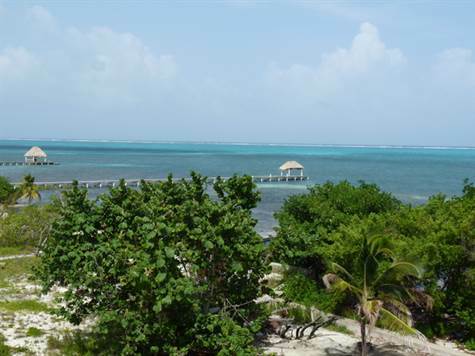 Ambergris Caye, Belize - Located just 3 1/2 miles south of San Pedro Town (20 min ride by golf cart or 10 mins by Polaris) this third floor condo is directly on the ocean with wide open views of the Caribbean and the reef. The balcony on these condos is the place to enjoy that morning cup of coffee, that afternoon cocktail or that evening glass of wine watching the stars come out. You may only want a 2 bedroom condo, but this has 3 full bedrooms, 2 baths and an owners closet with its own washer and dryer. There is nothing like being 3 floors up staring out at the ocean, especially if its from your own home. This one can be yours for only $350,000. Some furnishing included. Call now to arrange a showing and ask about our special incentive for purchasing in the next 30 days (till August 31st).